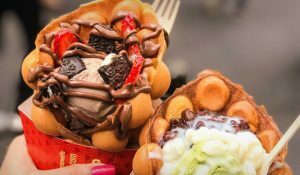 Get your confectionery kicks at Chinatown London’s drool-worthy new trio of dessert shops; TSJURI, Guo C 100 and RORO. The sugar rush is on. 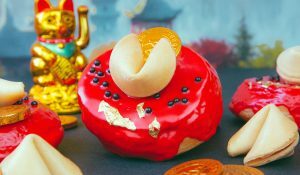 Chinatown London just got a little bit sweeter courtesy of three new dessert shops arriving in Newport Court. 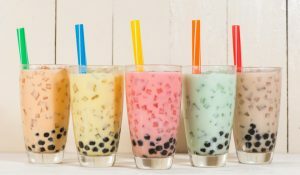 The sugary Holy Trinity comprises tea house TSJURI, who serve up mouth-watering matcha-infused confections, Guo C 100, a fresh and fruity dessert emporium from Hong Kong, and RORO, a cool Asian dessert snack bar. 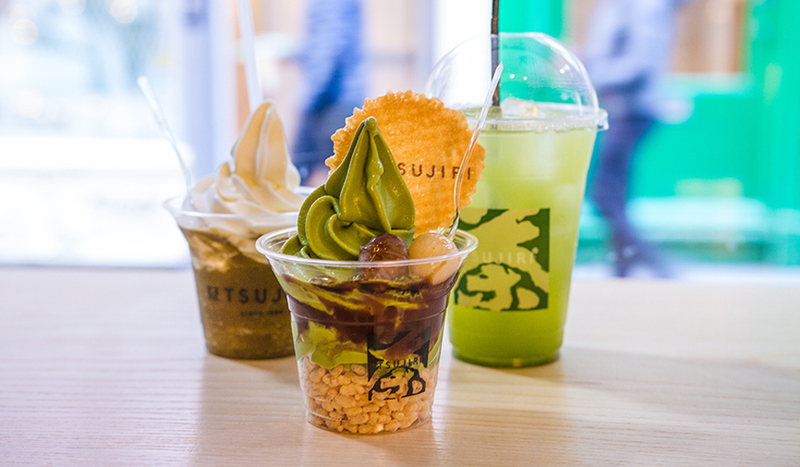 Matcha fiends can get a naughty-but-nice thrill at TSJURI; alongside ceremonial grade healthy matcha and sencha teas, there’s seriously Insta-worthy matcha sundaes piled high with tasty toppings. An 155 year old Japanese tea house, TSJURI comes with a pedigree but totally modern outlook. Go all out with a towering matcha shaved ice and latte decorated with a cute foam Totoro. Never heard of Guo C 100? 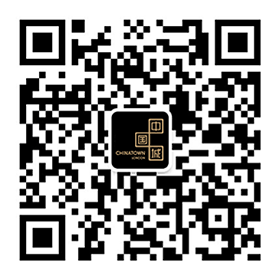 While they’re new to Chinatown (and indeed Europe, this is their first branch) Guo C 100 is a big deal in China. With over 350 stores, their Hong Kong-style desserts are beloved from Beijing to Baoding. From mango and durian(!) puddings to sweet soups and pancakes, expect all manner of healthy fruit flavours and vivid colours. If you thought Bubblewrap’s pretty-as-a-picture waffle cones were to die for, wait ‘til you’ve seen RORO’s delights. The fun n’ funky snack bar specialises in Chinese and Asian desserts. There’s delicately layered mille crepes, cream puffs and – wait for it – the Snow Box. A fresh cream dessert encased in a wafer-thin rice skin. Sugar rush wearing off? RORO also serve up savoury jianbing; a Chinese street food staple, jianbing are wrapped crepes housing braised pork, craspy wontons and soy sauce. Free doughnut madness at Doughnut Time’s new Shaftesbury Avenue store!